The APC Fulani Nationwide has backed the candidature of the All Progressives Congress (APC) governorship flag bearer in Benue State, Barr. Emmanuel Jime for the 2019 election. National Leader of the group, Garus Gololo, told our correspondent through telephone on Sunday that Jime is their preferred candidate for the Benue Government House’s job. “We are fully behind Jime. All APC Fulani nationwide would support Jime, Senator Geroge Akume and President Muhammadu Buhari to win their elections,” he said. 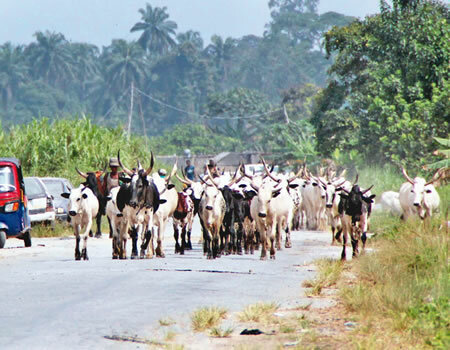 Gololo who also applauded the leadership of APC in the state for giving the governorship ticket to Jime, stressed that he is the best man for the job and that a vote for him into office meant that the Fulani herders and their cows would be accommodated for peaceful coexistence in the state. “Let me tell you that Jime is the right candidate to win Benue governorship election 2019. You remembered even in 2015, he was the best candidate but he (Jime) was humiliated just because they brought Ortom (incumbent Governor) after he lost election in PDP.